The ISB community and potential parents are understandably interested about the quality of our students’ learning, especially against challenging international standards. Over many years, the school leadership and the Board of Trustees have put into place a number of key performance indicators to ensure that we continue to provide outstanding educational opportunities for all our students. Below you will find a number of indicators that will inform you about school performance. Our IB Diploma candidates from the class of 2018 achieved a mean IB Diploma score of 35 compared to the world average of around 30 points (out of a maximum of 45). 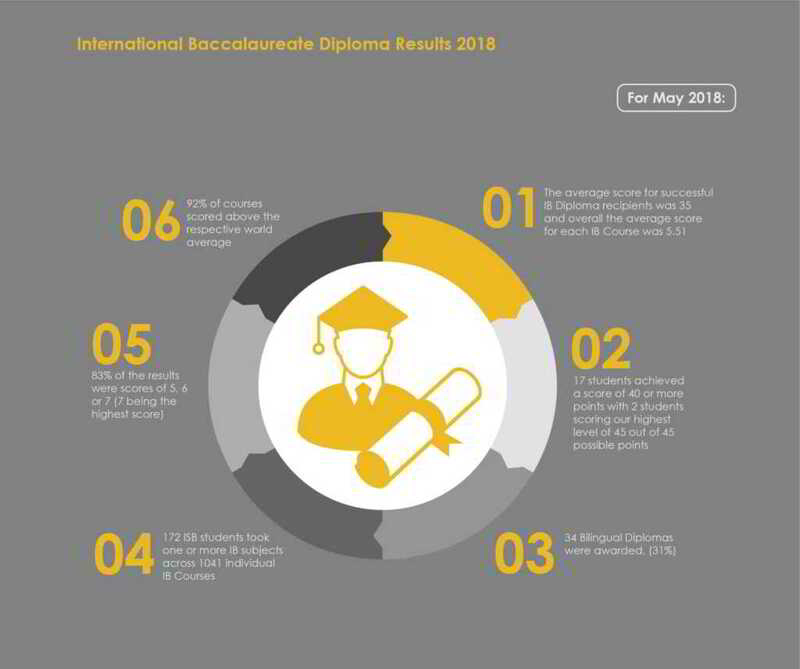 The average IB Diploma pass rate for May 2018 was 97% and the mean over the past 5 years is 95% compared to a world average of approximately 79%. 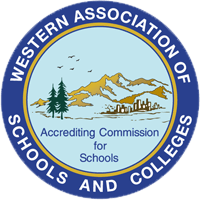 The High School has a team of four highly qualified and experienced counselors to help students be successful at school and navigate the process of selecting and applying to best-fit universities. Schools that our graduates are currently attending include Berkley College of Music, Brown University, University of California Berkeley, University College London, Columbia University, University of Hong Kong, KAIST, Karlsruhe Institute of Technology, London School of Economics, University of Melbourne, McGill University, NYU, University of Pennsylvania,, Rhode Island School of Design, Stanford University, St. George’s Hospital Medical School London, USC, Yonsei University, and Waseda University. For a full list of university acceptances from 2013 – 2018 please click here. In November, we survey parents new to ISB in the past six months. In December, we survey parents who have left ISB during the previous year. In May, we survey current parents. Every 3 years, 10,000 students in each of 40 nations take the Program for International Student Assessment (PISA). We administer the International School Assessment (ISA) each year at 3rd, 5th, 7th, and 10th grades. Our scores are compared to those of students from approximately 200 schools in 60 countries. Because PISA and ISA are related, we can compare our 10th grade ISB students with those in the nations that consistently perform best on the PISA. The table below shows the results from the most recent PISA testing, and compares 10th grade ISB students’ scores to those from the top 4 scoring nations on PISA, and those from the USA. We also compare the performance of our students on the ISA with those from the 180 International Schools that use this assessment. The table below displays how ISB compares. Each September and April/May, ISB students in grades 3 through 8 take the Measures of Academic Progress (MAP) test. Taken by more than 6 million students each year, this test measures student growth and achievement in Reading and Mathematics. Students take this assessment on a computer. If a student answers a question correctly, the next question is more difficult and vice versa. This means that we can gauge a student’s achievement more accurately, more frequently, and more quickly. Most important of all, we can measure actual progress by comparing students’ scores from one year to the next. This table compares ISB’s mean RIT scores for reading and math to the mean RIT scores in US schools. ISB consistently ranks above the 90th percentile in math compared to other schools, and above the 80th percentile in reading (an accomplishment when one considers that only a third of our students are native English speakers).